Are you losing weight and controlling your weight like you want? 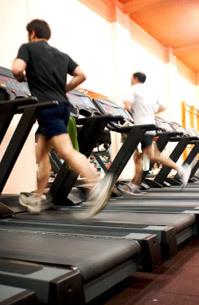 Are you sticking to your fitness program? The secret is not about choosing the perfect diet, perfect weight control plan, or perfect fitness regimen. It's about being conscious about the process, and about being intentional every step of the way. If you are NOT all that unhappy with how your body looks and with your health condition, you won't be properly motivated to make any substantive health and fitness changes. If you want a casual, easy-going weight control and fitness program, you will most likely make few noticeable changes or continually backslide. If you want to stay in your normal comfort zone of eating, fitness and health choices, why embark on a program? You'll just be fooling yourself. If you continue the self-delusional idea that what you are doing now is OK, and that "everything will somehow work out", you are not ready to start a weight control and fitness program. Bill Cole can help you create a "mental strength" training program to pump up your fitness/health/diet program. You don't need to be unhappy and erratic with your weight and fitness. Get going today. To learn more about some of the ideas and techniques in a mental strength fitness & diet program, read this Mental Success Strategies article: 10 Mental Toughness Strategies To Help You Reach Your Fitness, Weight and Health Goals. Additional articles on The Mental Game of Weight Control and The Mental Game of Fitness are available on the International Mental Game Coaching Association website. Learn more about our Sports Psychology Coaching services, or contact us to sign up for Exercise and Fitness Psychology coaching.